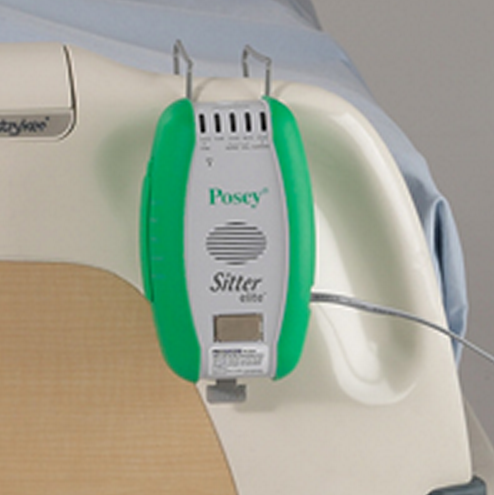 Sitter Elite Alarm is an electronic Safety Alarm fall monitoring system from Posey designed to help patients prevent fall injuries where continuous surveillance of the patient is not possible. This Patient Safety Alarm system is highly flexible. By adding various alarm sensors such as Bed Alarm Sensor, Chair Alarm Sensor, Door Alarm Sensor, Room Alarm Sensor, Wireless Alarm Sensor, and Toilet Alarm Sensor this Fall Alarm System can meet the needs the needs of many different types of Fall Management patients. 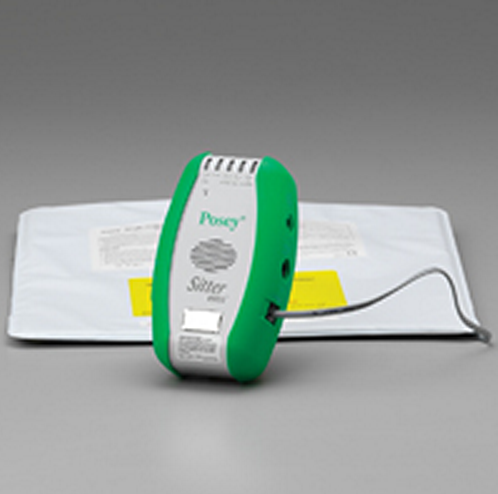 The Sitter Elite alerts care givers to patients attempts to exit bed, chair or toilet seat unattended. Each system consists of a Sitter Elite control unit, 4 "C" batteries, nurse call cable, standard bed bracket, and wall mount bracket. 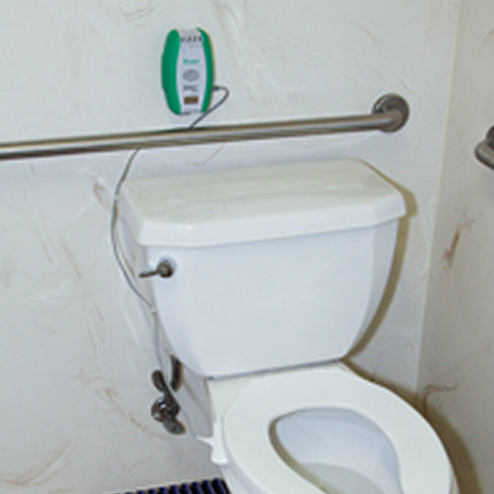 As weight is lifted off the sensor, as in an attempted bed or chair exit, the alarm is activated and a remote signal is sent to the pager to alert the caregiver staff. The Sitter Elite alarm system may also be connected to the facility nurse call system to activate the room light and nurse call station signal. 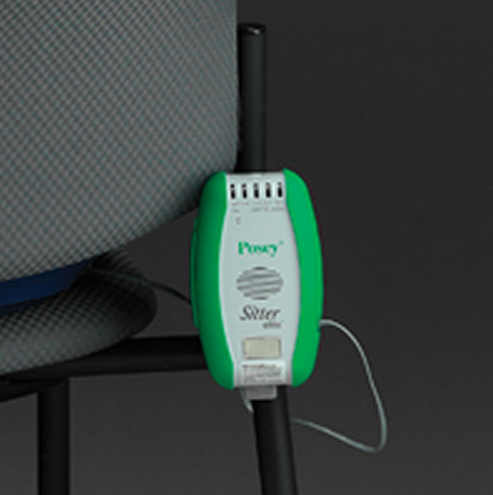 In addition to providing an immediate warning of a potential fall, the Posey Sitter Elite Wireless Nurse Call can be used as an assessment tool in determining the appropriate fall prevention protocol for a particular fall management patient. In addition to providing an immediate warning of a potential fall, the Sitter Elite Alarm Device can be used as an assessment tool in determining appropriate fall management protocol for a particular patient. Alarm Monitor Unit, Product Number: 8345. Standard Monitor Alarm Bed Bracket, Product Number: 8276. Wall/Chair Mounting Bracket, Product Number: 8278. Magnet Cord, Product Number: 8345M. Double-sided hood and loop adhesive strip. 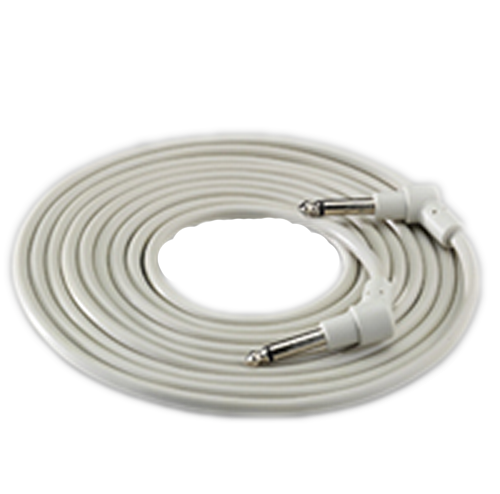 NURSE CALL CABLE, Product Number RP8282. Standard Bed Bracket, Product Number: 8276. Wall/Chair Mounting Bracket, Product Number: 8208. AC power adapter. Product Number: 8383. Magnet, string and clip replacement. Product Number: 8345M. Option for tone and/or voice alarm. SUSPEND function allows extra time for administering care without alarm activation. 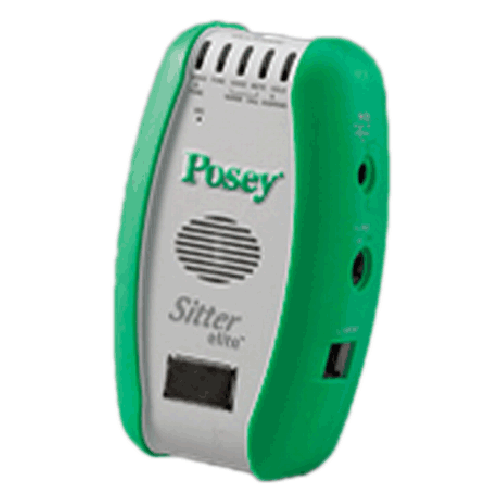 Posey Sitter Elite Fall Monitor Alarm Product Number: 8345. Weight: 10.2 ounces (alarm monitor) 13.7 ounces (alarm monitor with batteries). Battery Life Expentancy: approximately 30 days. Voltage Range: 4.6 t- 6.3 VDC. Low Battery Warning: Audible chirp about every 15 seconds. 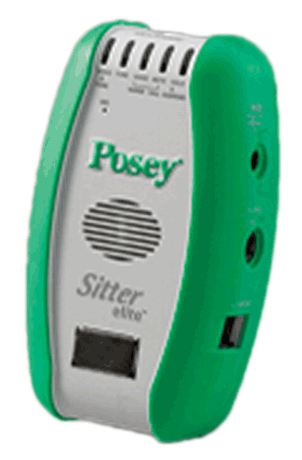 Posey Sitter Elite Fall Monitor Alarm Warranty: limted lifetime.